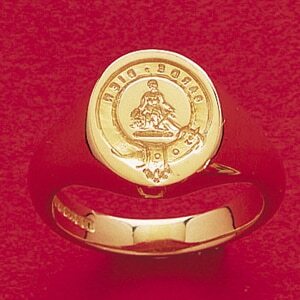 An eighteen carat gold signet ring engraved with the Clan badge of the Clan Montgomery. 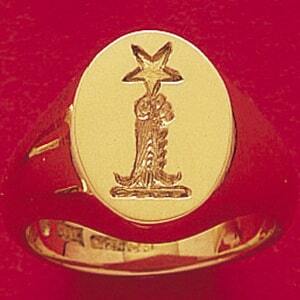 An eighteen carat gold signet ring with the coat of arms of Macfarlane of that Ilk. 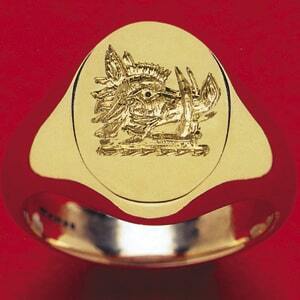 An eighteen carat gold signet ring engraved with the crest of the Lunt Family. 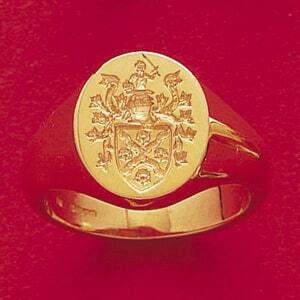 An eighteen carat gold signet ring engraved with the crest of the Allott Family. 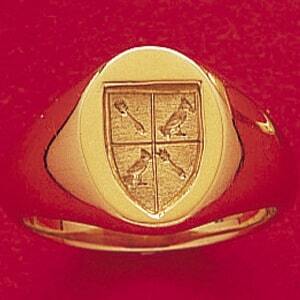 An eighteen carat gold signet ring engraved with the crest of the Brown Family. 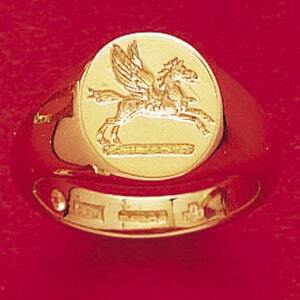 An eighteen carat gold signet ring engraved with the crest of the Michell Family. 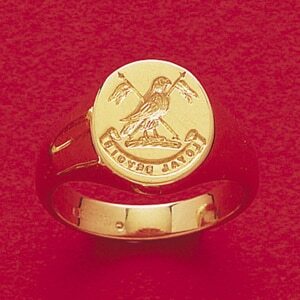 An eighteen carat gold signet ring engraved with the shield of the Beasley family. 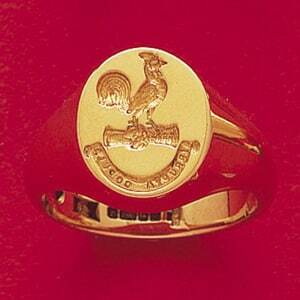 An eighteen carat gold signet ring engraved with the crest of the Clan Campbell. 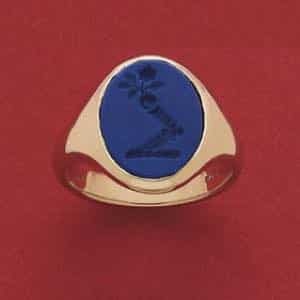 An eighteen carat gold signet ring set with a Lapis Lazuli stone.